Having made a comeback with their latest album, Wonder World, the ladies of Wonder Girls were photographed by Hyea. 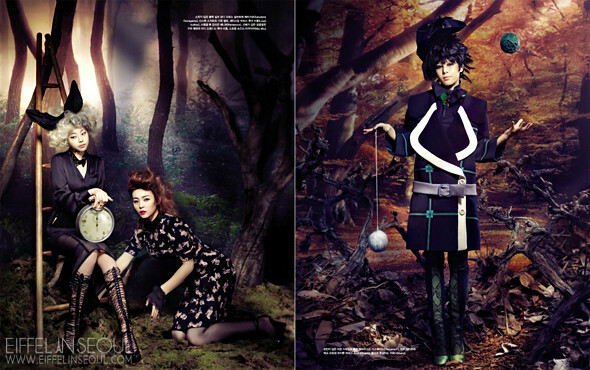 W Kang for Vogue Korea's December issue. Taking on a fantasy concept, they were dressed in Blumarine, Chanel, Dior, Gucci, Louis Vuitton, Miss Gee Collection, Marni, Miu Miu, Prada, Salvatore Ferragamo, Stella McCartney, Tom Ford, Versace, Yves Saint Laurent and more. 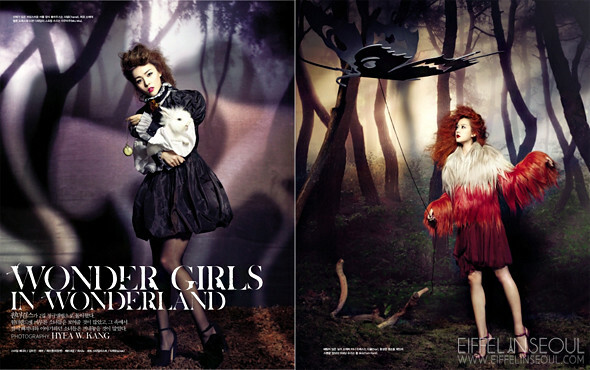 Check out the shoot entitled, Wonder Girls In Wonderland.